The Ford folks are passionate about making their Mustang a true and proper sports car, one that doesn't just go fast in a straight line, but also handles corners and circuit tracks as well as it takes on drag strips and stoplight races. The V-8-powered Mustangs have gotten a lot of love recently — several Performance Packs are available for the GT, and there are new Shelby GT350, GT350R and GT500 models coming this year. Now it's time for the four-cylinder Mustang to get some love. For 2020, Ford is (Eco)boosting its performance game for the entry-level Mustang by giving the turbocharged version an engine swap and a handling upgrade, called the 2.3L High Performance Package. Changes to the Mustang's exterior are minimal, and frankly won't help differentiate it very much from the myriad other Mustang appearance packages you're likely to see. The most obvious changes are a grille, lower side sills, spoiler, wheels and rear lower bumper painted in Magnetic Gray. Two gray "whisker stripes" adorn the hood, and wider tires are fitted. The front splitter and spoiler are parts that are originally part of the GT's Performance Pack 1. 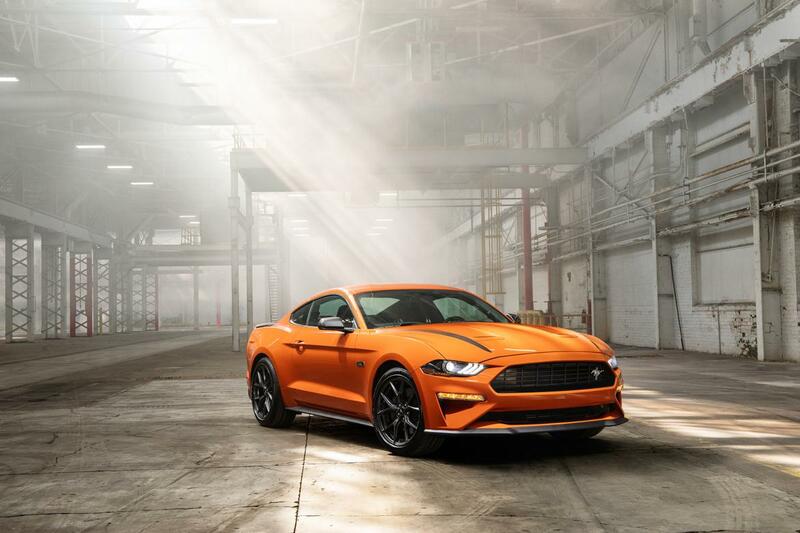 The new 2.3L High Performance Pack can be had on the coupe or convertible model, and in one of the four new colors available on Mustang for 2020: Twisted Orange, Grabber Lime, Iconic Gray and Red Hot Metallic. Inside, there's nothing to really see, either. The High Performance Pack can be had with either of the two trims of EcoBoost Mustang, meaning you can get one with the base-level interior's cloth seats and fewer frills if you're looking to make a budget racer, or with the leather-lined plusher cabin if you're looking for some more zoot with your scoot. The dash gets an engine-turned aluminum look with oil pressure and turbo boost gauges, and a serialized dash plaque is also included. Here's where the magic happens. Ford took the turbocharged 2.3-liter EcoBoost four-cylinder engine from the now-discontinued Ford Focus RS, the one built in Valencia, Spain, and modified it for use in the Mustang. It involved "switching it around," repositioning some components to allow for a longitudinal orientation in a rear-wheel-drive car instead of the transverse mounting in the Focus RS. A different turbocharger was fitted — one with a five percent larger, 63-millimeter twin-scroll compressor — as were some different radiators. The modified engine makes 330 horsepower and 350 pounds-feet of torque, down from the 350 hp it made in the Focus RS, but that's due to the different plumbing and charge intercoolers, according to Carl Widmann, Mustang chief engineer. 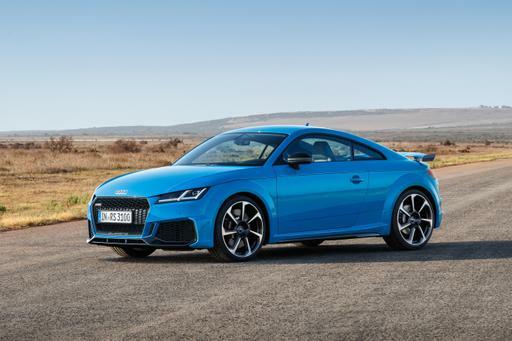 What it can do is make 90 percent of its torque from just 2,500 rpm and maintain it all the way up to 5,300 rpm — with a redline topping out at 6,500 rpm. The basic High Performance Pack comes with the aero parts and several other upgrades. The GT's brakes are included, 352-mm front rotors with four-piston calipers and 330-mm rear rotors. A strut-tower brace keeps the front suspension in line, while new shocks are fitted. 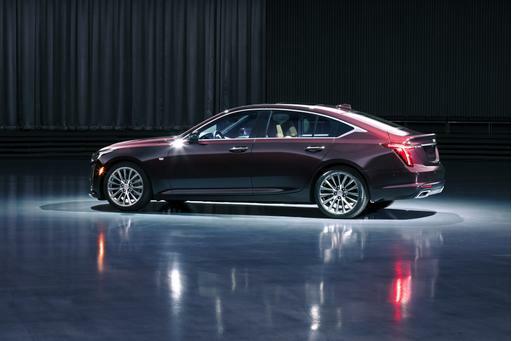 Active exhaust is standard, as is a 3.55:1 limited-slip rear axle. Tires are Pirelli summer tires in 255/40ZR19 size, while stabilizer bars are upgraded to a tubular 32 mm in front and 24 mm in the rear. If you want to max out your autocross or track day abilities, you can add the EcoBoost Handling Pack on top of the 2.3L High Performance Pack. It brings wider, specially developed Pirelli P Zero Corsa 265/40ZR19 summer tires. The rear sway bar gets upgraded from tubular 24 mm to solid 24 mm, Ford's excellent MagneRide electronic suspension is also added, and the limited-slip differential is swapped out for a Torsen unit. The EcoBoost Handling Pack is available only on the coupe model of the Mustang EcoBoost that also has the 2.3L High Performance Pack, but it can be had with either a manual or automatic transmission. In GT-speak, think of this as the GT Performance Pack 2 to the 2.3L High Performance Pack's GT Performance Pack 1. 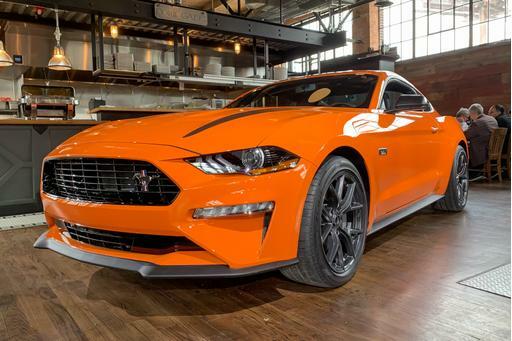 The new 2020 Mustang EcoBoost with these new performance upgrades will be available in the fall, but Ford has not yet said how much they will cost. Ford officials have assured us, however, that just like the current model's four-cylinder performance package, you can get one for less than the entry price of the V-8-powered GT. 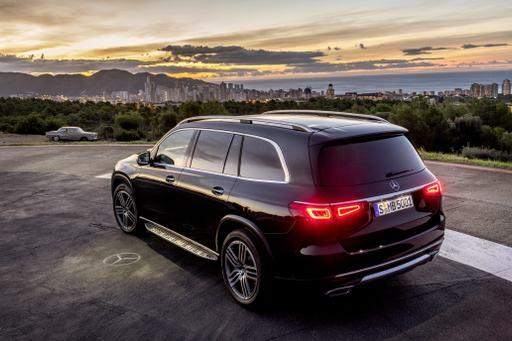 With its lighter weight and excellent balance, this one should be an absolute riot to drive.